This week’s leader is trombonist and SJZ Summer Jazz Camp educator Veronica Christie. A native from the central coast of California, Christie is a versatile music educator with a passion for helping young people develop their potential through the arts. Christie has earned undergraduate degree in Music Education in at San Jose State University, School of Music and Dance. 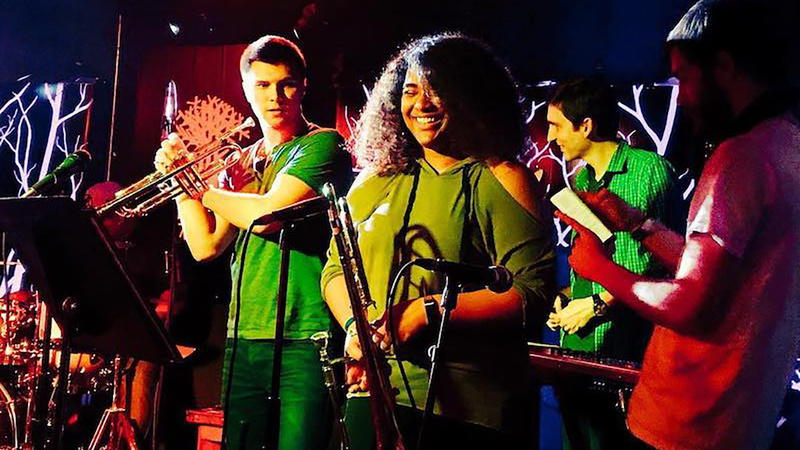 She currently resides in the Bay area and continues to be involved with the education scene as well as being apart of different ensembles such as Summer Fest 2018 performers 7th Street Big Band and reggae hit from East Palo Alto, Rafa. As a bass trombonist, Christie has made various stage appearances such as the Island Reggae Festival, Monterey Jazz Festival Next Generation Festival and Yoshi’s, to name a few.